Apoorva Bose, the upcoming young actress of Mollywood, hails from Kochi, Kerala, and was born to Mr. Bose and Mrs. Sangeetha Bose. Apoorva is the only daughter to her parents, hence was pampered too much and was given the freedom to choose her future. She completed her schooling from Choice School, Thrippunithura and was hardly out of school, when she was called for the Malayalam film "Malarvadi Arts Club". After completing her schooling, she joined at the National University of Advanced Legal Studies (NUALS), Kochi to acquire a graduation in law. Apoorva wishes to become a lawyer in practice, while she would also like to take up good offers from film field as well. Apoorva Bose is a smart, modern girl who has a lot of friend circle around her. Her best friends are her mom and her cousin, Sharan Nair. Apart from studies, Apoorva Bose was also a trained classical dancer. She started learning dance at a young age but was never serious about it. Only recently she took it seriously. Apoorva had performed her first full fledged Bharatanatyam recital at Kerala Fine Arts Hall on December 22nd 2012. Surely, her knowledge in dance has helped her in acting. Apoorva Bose got an entry into the film field in 2010, while she was doing her Grade X. Her debut movie was a Malayalam film, "Malarvadi Arts Club", directed by debutant director Vineeth Sreenivasan, son of veteran actor Sreenivasan. The film was shot when her Grade X final exams where going on. But the studious Apoorva managed to score excellent results even though she had a tight schedule at work. This film was produced by actor Dileep. In this movie, Apoorva Bose was given the role of 'Revathy', a supporting character. She was able to put forward impressive performance as Revathy, but was not noticed much as the role was not a very prominent one. However the movie was declared as a super hit at the box office. After her debut movie, Apoorva then got an opportunity to be a part of the award winning Mohanlal film "Pranayam", directed by renowned director Blessy. The film had Mohanlal, Jayaprada and Anupam Kher in the lead roles. Another peculiarity of this film was it was the 300th film of superstar Mohanlal. In this movie, Apoorva gave life to the character 'Megha', again a supporting character. This film too was a success. Apoorva Bose's next venture was the 2012 movie "Padmasree Bharat Dr. Saroj Kumar", directed by Sajin Raaghavan. It was this film which gave her a real break and a prominent role. This film had Sreenivasan and Mamta Mohandas in the lead roles while Apoorva appeared as a supporting character 'Lekha'. She did outstanding performances as Lekha and came to be noticed which in-turn fetched her more and more opportunities. It was this movie, which bought her fame and popularity. The film too did well at the box office. Later in the year 2012, Apoorva's next film was released. The movie was named "Husbands in Goa", directed by Saji Surendran. This movie had many young artists behind it and was quite a good film too. The role given to Apoorva in this movie was a very minor one. She appeared as (Sarayu) Saniya's friend. In an interview Apoorva's mother had said that they have never compelled her to take up any decision so far and whether to act or refrain from acting is solely her decision. Apoorva, a law student is determined to do good projects in film industry and at the same time she would like to continue her studies. Our film industry is known for having academically qualified professionals as artists, here we have yet another young lady to add to the list. After the movie "Padmasree Bharath Dr Saroj Kumar", Apoorva had taken a break from movies to concentrate on her board exams. For her, she is not seeing a full time career in acting, instead she wants to be a good lawyer. She then concentrated on her entrance exam and further joined at the National University of Advanced Legal Studies (NUALS), Kochi. She has added that she will definitely take up interesting offers and will never quit acting. She hopes to balance her studies, films and dance, even though her preference is to become a lawyer. 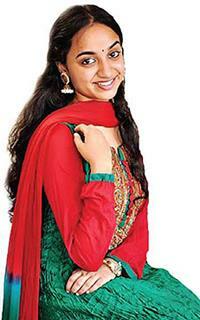 After a break, Apoorva Bose is again back to screen with the movie "Paisa Paisa", directed by Prasanth Murali. Indrajith Sukumaran and Mamta Mohandas appears in the male and female lead roles respectively. In this movie Apoorva Bose is given a prominent supporting role as 'Pooja'. The production of this movie is going on and it is yet to reach theaters. Hopefully this movie will provide another platform to show the talents of the young actress, Apoorva Bose. She has also committed couple of other projects as well. Hope she will turn out to be a good lawyer in practice as well as a known actress.